You can't feel comfortable and romantic with a rock hard bed, we all know the story of the princess and the pea. It is important to invest in a good mattress. Looking online I didn't realise they were so many types of mattresses online from firm to soft, to quilted to mattresses toppers. We all love fresh bed linen, how cute are these pillow cases from Old English Company. Bob Marley once sang "I want to give you some good, good loving. Turn your lights down low" Forget about your main light and put your lamp on instead for a subtle glow. I'm loving these copper garland lights from I want one of those. 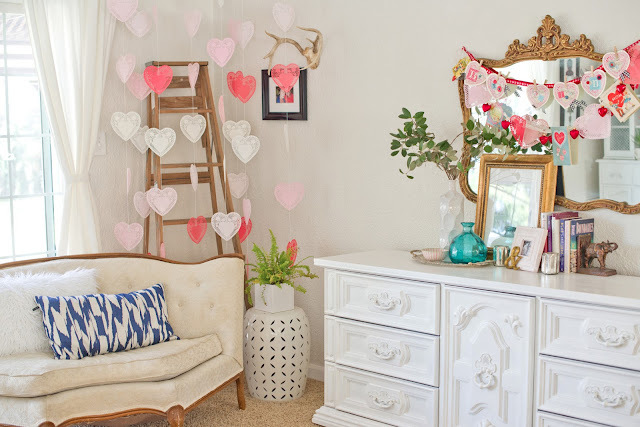 So these are a few ideas to create aromatic bedroom for Valentine's day. How do you get your room in the mood?